The Trump administration doesn’t want Americans to access the truth about what’s happening in Syria or North Korea, that’s why the CIA is trying to demonize WikiLeaks which consistently brings truth to the people, says Arvin Vohra of the Libertarian Party. RT: What do you think about the CIA chief's statement about WikiLeaks? Arvin Vohra: Mike Pompeo has said WikiLeaks is acting as a hostile intelligence agency, which is complete nonsense. Instead of taking state secrets and giving it to a foreign military, they are taking things that should be public knowledge and bringing it to the American people. If WikiLeaks is, in fact, a hostile intelligence agency – think about who they are sharing it with. They are sharing that information with the American people which suggest that Mike Pompeo thinks that the American people are his enemy. RT: How significant is the timing of this statement? AV: If you look at what’s been happening recently, the US is now engaging in all kinds of actions in the Pacific, has recently attacked Syria, what we are seeing is that the CIA is fighting against what it considers to be its adversary. It is trying to really shut down the thing that is going to tell the American people the truth about what is happening in Syria, or the truth about what is happening in North Korea. And the fact is even the Trump administration does not want the American people to have access to that truth, so they are trying to demonize the very people, the only people, who are consistently bringing the truth to the American people. The issue over here is not what methods are being used, the issue over here is whether what they are presenting is true or false. And consistently they’ve been presenting true information when the rest of the media has failed to do so. RT: Why are we seeing such a change of stance on WikiLeaks from those in the new US administration? What's driving it? It was praised by many when it released documents on Clinton - including by Pompeo and Trump. AV: During the election, Trump believed the truth was helpful to him because WikiLeaks showed the American people the corruption going on inside the Democratic National Convention. Now he realized that the truth had been turned against him, and now he is on the wrong side of the truth basically. The fact that he is engaging in very unpopular military behavior, he is doing exactly what the American people do not want, means that he now has a much more hostile relationship for both public perception as well as for what is actually going on which is being presented by WikiLeaks. “The CIA director is really showing how he’s devoid of any facts here. 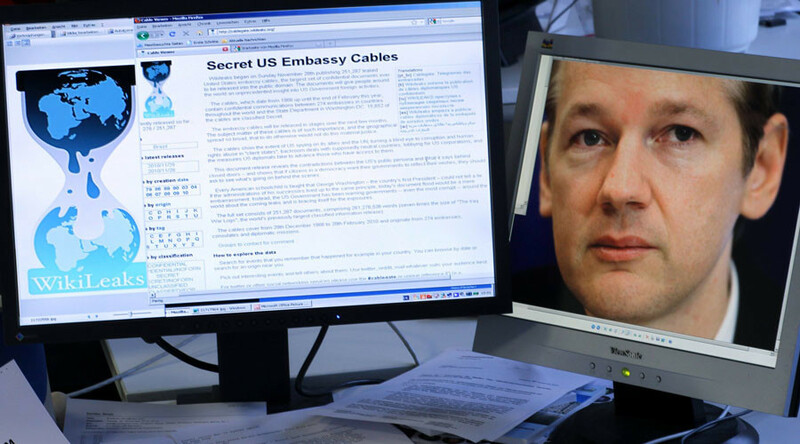 He is going out and vilifying WikiLeaks, [Julian] Assange and Edward Snowden. We should call him out and just say: “You’re vilifying truth, transparency, and basically freedom of the press. The premise is entirely backward: truth and freedom of the press and transparency are what keeps us safe,” she told RT. She co-wrote an article years ago that said: "if we had had WikiLeaks before 9/11 we probably could have prevented it because it essentially was a lack of sharing of information." “When Pompeo now says that transparency, WikiLeaks - and no one disputes that the documents that WikiLeaks gets usually showing fraud, showing deceit, showing a lot of bad things - that they are completely honest and truthful. No one disputes that. I think what we have here – is the director who wants to control the message. Their message is itself dangerous in many cases. 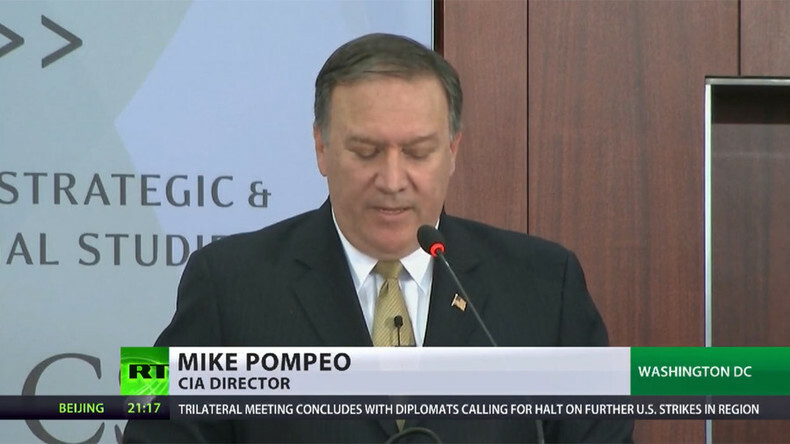 If you look at what is going on here with Syria, Pompeo should be spending his time and trying to find what happened in Syria as opposed to going after WikiLeaks at this point,” Rowley added. “He changed his mind as soon as he was appointed CIA Director and WikiLeaks published the Vault 7 documents. I find his comments very laughable because they’re both hypocritical; they lack any kind of truth,” he told RT. When “there are a lack of intelligence and spinning propaganda in the CIA, that is a national security concern,” he said. “It could definitely hamper us – if we can’t really focus on what is actually happening,” he said. Stoeckley said Pompeo tried to suggest WikiLeaks does not have the kind of legitimacy The New York Times or The Washington Post have. “That’s funny coming out of the Trump administration because Trump has repeatedly tweeted claims that The New York Times, The Washington Post are clickbait or false, ‘fake news.’ It seems like the administration doesn’t have their stories straight. 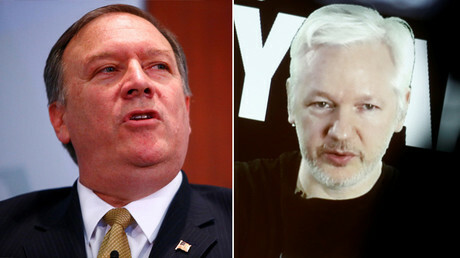 It‘s absolutely laughable that Pompeo was tweeting out WikiLeaks’ DNC leaks last year and now he has completely changed his tune,” he said.